With it's central geopgraphic location and status as a hub for major interstates, Chicago is convenient to drive to from every region in the country. In fact, more than 20 million people live within a three-hour drive of the city. Chicago is a walking city with an easy-to-navigate downtown grid. Madison Street divides the city north and south, while State Street divides it east and west. The State/Madison intersection marks the origin of Chicago's address grid system. Addresses are relative to the distance from that mark, with eight blocks to every mile. So an address of 3600 North Clark means that it is 36 blocks north of Madison. For full fare information, transit card retailers and maps, visit the Chicago Transit Authority website at transitchicago.com. Also look to their site for the latest updates to train schedules and routes that may affect your travel plans. ‘L' Trains: Not all of Chicago's eight ‘L' lines are "elevated." They do, however, connect the city via above-ground, street-level and subway trains and serve 144 rail stations all over town, making the ‘L' one of the most efficient and affordable methods of transportation available. Two lines operate 24 hours a day: the Blue Line, which connects the airport and downtown, and the Red Line, with service between the North and South Sides via downtown. Buses: More than 100 routes lace the city; buses stop every few blocks. Several lines operate 24 hours a day. Exact change is required for cash fare. Acceptable on buses using exact change only in dollar bills or coins; no transfers available. Ventra Tickets are good only for a limited time and cannot be loaded again once used up. Includes a full fare and two transfers (a $2.50 value), plus a $0.50 limited-use media fee. Ventra Tickets are good only for a limited time and cannot be loaded again once the value is used up. 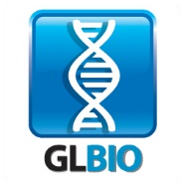 Includeds unlimited rides within 24 hours of activation. Transfers must occur within two hours of the first ride. Available online and at rail station vending machines. Effective January 14, 2013, a $5 O'Hare rate applies to riders paying full fare from the O'Hare Blue Line Station. Activated on first use, passes allow unlimited rides for the specified time, offering the best travel value. The high-speed Metra commuter rail train connects outlying suburbs to downtown and is an easy way to get into the heart of the city fast. For exact fares and route maps, visit the Metra website at metrarail.com. Taxis are plentiful and easy-to-hail downtown and at the airports, and offer a convenient way to get around the city. Credit cards are accepted in all cabs by city mandate. It is standard to tip the driver about 15-20% of the fare, plus $1-2 per bag if the driver helps you with luggage. Please note that all fares are subject to change. Sample taxi fare between downtown and O'Hare Airport is $40-50, and between Midway Airport is $30-35. You can also electronically hail (E-Hail) a taxicab through a mobile app. CHICABS offers safe and secure options for a Chicago taxicab ride. CHICABS approved apps ARRO and CURB also let passengers electronically pay (E-Pay) for the taxicab fare through the app. • Taxis charge a base rate of $3.25, plus $1.80 for each additional mile and $0.20 for every 36 seconds of time elapsed. • If a gas surcharge is in effect, a sign will be displayed inside the taxicab and a surcharge may apply. Tolls are an extra charge. Taxis charge $1 for the first additional passenger over age 12 and under age 65; each additional passenger after that is $0.50. 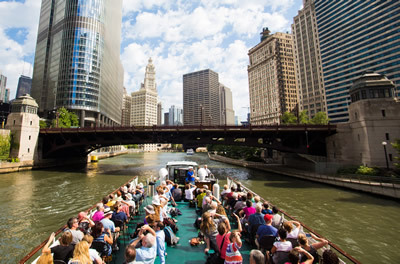 For fast, affordable and fun connections between Chicago's top tourist destinations, Chicago Water Taxi by Wendella Boats and Shoreline Water Taxi are the perfect combination of sightseeing and convenient transportation. During the warm weather season, travel on these fun water rides to popular visitor sites such as Chinatown, Museum Campus, Willis Tower, Michigan Avenue, Union Station and more. For exact fares and route maps, visit chicagowatertaxi.com or shorelinesightseeing.com/water-taxi. For cyclists, information on Chicago's bike sharing program Divvy, local bike lanes and bicycle rack parking is available at chicagocompletestreets.org. Want to pay for parking in advance? 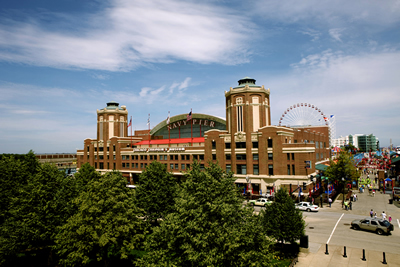 Find the perfect Chicago parking spot by comparing price, location, and amenities. Reserve your spot now. 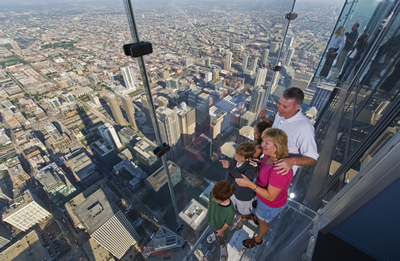 Looking for a way to figure out the best of all your Chicago transportation options? Download the free mobile app RideScout for real-time information right on your phone. From Divvy bike ride share stations and CTA train/bus routes, to parking spots for your car or taxi pick ups — one simple view provides total transportation time, cost and nearest point to access.